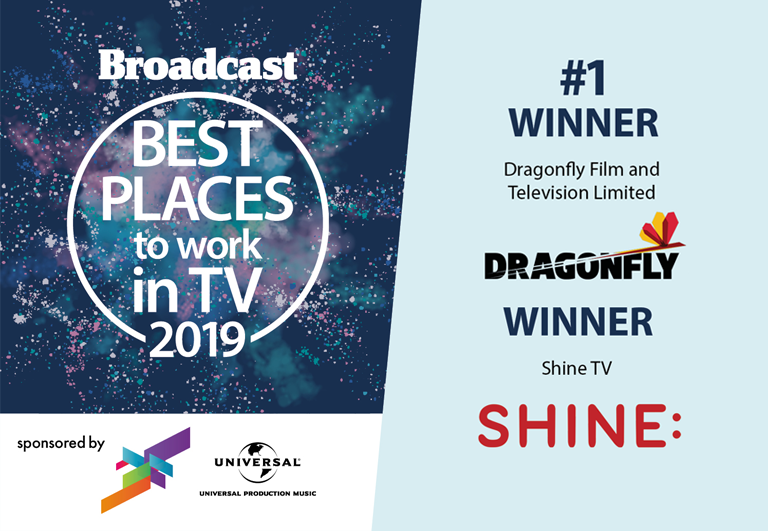 The results are in and Broadcast have announced Dragonfly as the winner of their Best Places to Work in TV 2019! This is an incredibly achievement. Hundreds of indies take part and the judging panel consider a range of factors including pay, benefits, work-life balance and corporate culture. Congratulations must also go out to Shine TV having again been named as one of The Best Places to Work in TV, making this their 4th consecutive year.